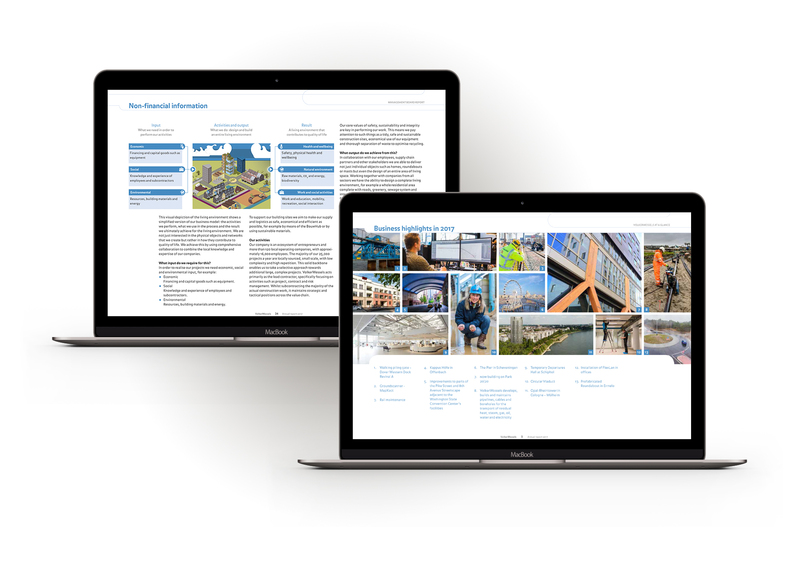 An interactive annual report and sustainability report that are both user-friendly and cost-effective. VolkerWessels operates in many industries. From construction & real estate to civil engineering; from rail and road construction to energy, telecom and the offshore industry. They develop, design, build, finance, manage and operate. How can we make their annual report and their sustainability report more accessible, including the online version? We designed a format that can be used both online and in PDF format. Through the use of pictograms, infographics and other reading aids, readers are guided to the requested information quickly.